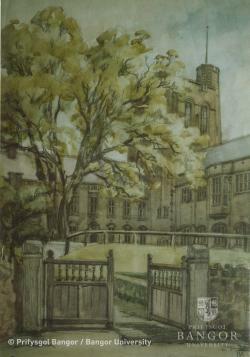 An early water-colour sketch of the University clearly showing the tower and the library building at a right angle. Financial constraints meant the building was never completed as intended by the architect Henry Hare. The outer large quad was completed in the 1960’s.